Spend the day of love with the dear ones in different way . 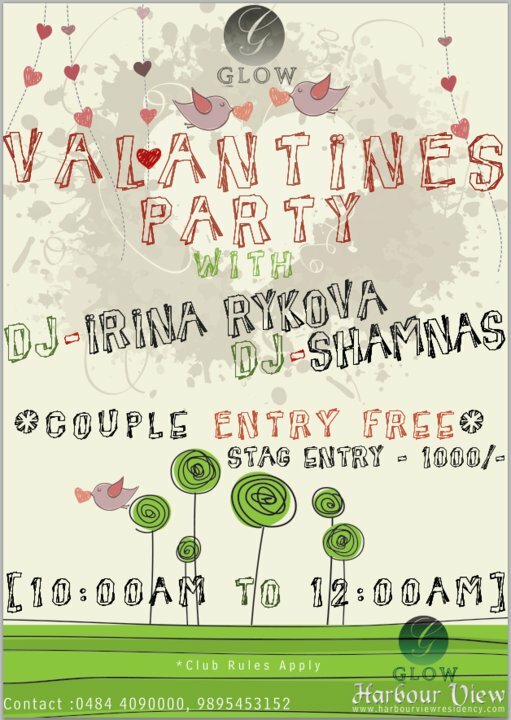 Its valentines day party at Glow , Harbour view residency . DJ Irina Rykova with DJ Shamnas will be setting up the tone for you . Couple entry is absolutely free since the day is of love . Singles can find a valentine in the party but should pay Rs. 1000 for entry . The party will start from 10 am till 12 am . Have fun guys ! !